Home Others Dutch Police Seize Two VPN Servers, But Without Explaining… Why? Dutch Police has seized two servers belonging to Virtual Private Network (VPN) provider Perfect Privacy, as part of an investigation, without even providing any reason for seizures. Switzerland-based VPN provider said they came to know about the servers seizure from I3D, the company that provides server hosting across Rotterdam. For those unfamiliar, Virtual Private Networks or VPNs are easy security and privacy tools that route your Internet traffic through a distant connection, protecting your browsing, hiding your location data and accessing restricted resources. While many people, including digital activists, journalists, and protesters, use them for legitimate purposes, VPNs are also used by criminals and black hat hackers to protect their nefarious activities from prying eyes and stay anonymous online. This is why VPN services are frequently targeted by police and law enforcement while investigating crimes, and this is what appears to have happened with two servers belonging to Perfect Privacy. 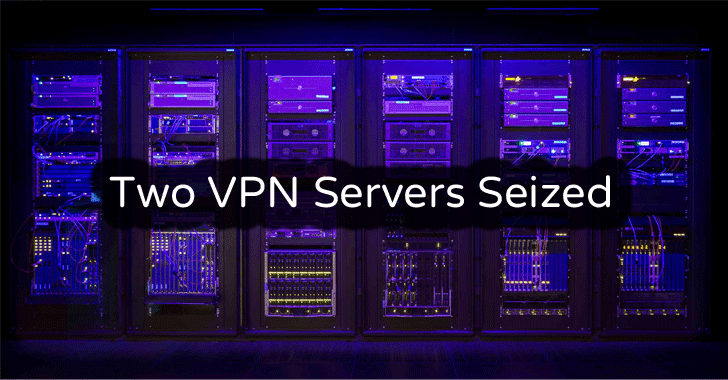 The VPN provider informed its customers that two of its servers in Rotterdam, Netherlands had been seized by the Dutch police on Thursday, August 24, without even contacting the company to inform about a possible investigation or the reason why their servers were brought down. The VPN provider says the authorities went directly to I3D with a subpoena requesting the hardware. "Currently, we have no further information since the responsible law enforcement agency did not get in touch with us directly, we were merely informed by our hoster," Perfect Privacy explains. "Since we are not logging any data there is currently no reason to believe that any user data was compromised." Perfect Privacy confirms that the company was back up and running the following day after I3D provided two replacement servers, meaning that the seizures did not result in any significant outage. In April, Dutch Police seized Ennetcom servers based in the Netherlands and Canada to shut down their operations during a criminal investigation. Ennetcom was a company that sold customized Blackberry Phones with the secure PGP-encrypted network. Dutch authorities accused Ennetcom of helping criminals protect their communications to carry out crimes, involving drug trafficking, assassinations, and other serious offenses.